"The Day Pan Am Blew up the World" cover photo from the March 1958 Clipper newsletter, which was published every month by and for the personnel of Pan American World Airways, System General Office. 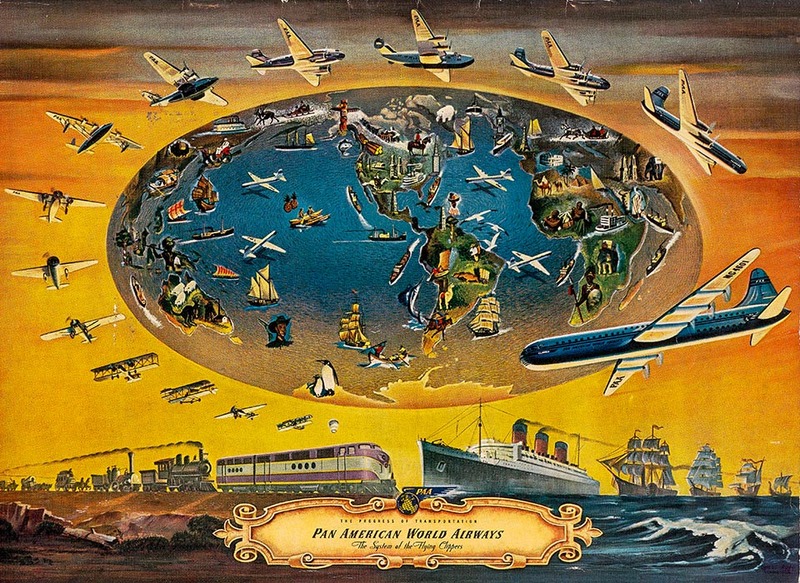 Millions of people alive today have never known Pan American World Airways as a travel transportation option. Yet Pan Am, “the world’s most experienced airline,” maintains its mystique as an icon of modern aviation decades after its last touchdown. Pan Am—in its heyday the United States’ largest international air carrier—declared bankruptcy after a series of crises and economic difficulties and ceased operations in December 1991. 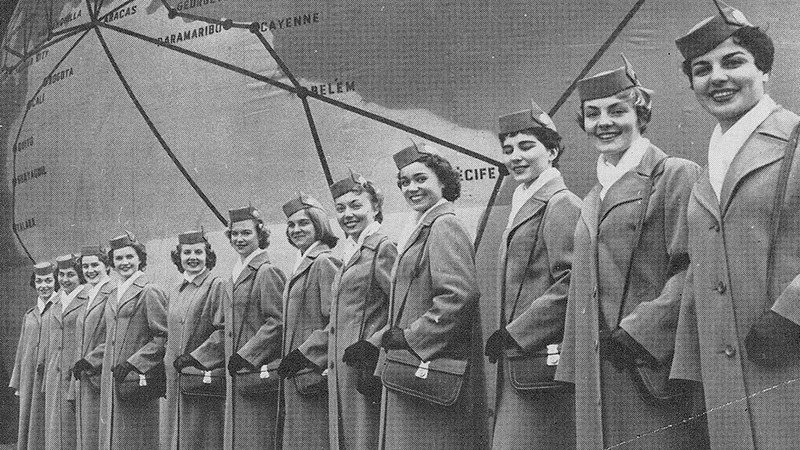 Left in the airline’s wake is a diverse trove of documents and memorabilia tracing its extraordinary technological, corporate, and cultural trajectory. The grant will enable University of Miami Libraries (UML) Special Collections, Duke University Libraries, and HistoryMiami Museum to digitize a significant portion of the varied Pan Am historical resources held by each. The three institutions will, in turn, collaborate with the Digital Public Library of America (DPLA) to post the newly digitized Pan Am materials online alongside numerous other digital aviation resources. Access will be available on each organization’s website as well as on the DPLA’s unified aviation portal. The legacy of Pan Am—its lofty ambitions, visionary innovations, soaring successes, and lasting impact—is unmatched in the history of U.S. aviation. The materials to be digitized depict the complexity and reach of the airline’s operations while also reflecting its carefully crafted public image. The selected items offer high research value, strong potential for digital scholarship, and relevance to current research trends across a variety of disciplines and communities. 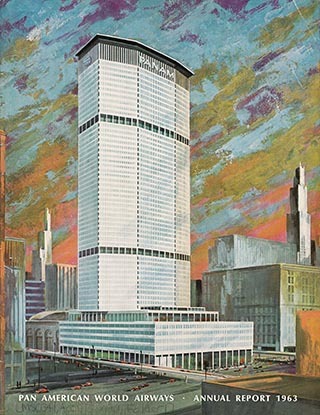 UML’s extensive Pan Am holdings comprise administrative reports, clippings, corporate records, logbooks, manuals, periodicals, public relations and marketing materials, timetables, and more than 2,000 folders of photographs. The Libraries’ aviation portal project team will digitize 121,000 items pertaining to flight and route development, press releases, speeches, and company histories. Duke University’s Pan Am collection includes 11,500 print and billboard ads from the J. Walter Thompson Company Archives and the Wells Rich Greene collection. “Pan Am played a pivotal role in shaping public perceptions of air travel, using advertisements, press releases, and marketing tools to glamorize flying and build brand recognition that persists to this day,” says Deborah Jakubs, Rita DiGiallonardo Holloway University Librarian and Vice Provost for Library Affairs at Duke University. HistoryMiami Museum’s vast collection of Pan Am artifacts includes uniforms, amenity kits, dining sets, and airplane models. With museum staff providing the metadata to identify and facilitate searches of online assets, UML will manage the technical aspects of the digitization process and create a HistoryMiami-branded Pan Am collection within its Digital Collections. “Hosting this content as part of the DPLA provides access to related curated materials from more than 3,000 other institutions around the nation, all through one interface,” says Michele Kimpton, director of business development at DPLA. UML has a longstanding commitment to the preservation of digitized and native digital content. “The CLIR grant allows us to build on our recently completed National Historical Publications and Records Commission Pan Am digitization grant,” says Laura Capell, head of digital production at UML. The University of Miami Libraries (library.miami.edu) provide faculty, students, researchers, and staff with the highest quality access to collections and information resources in support of the University's mission to transform lives through research, teaching, and service.